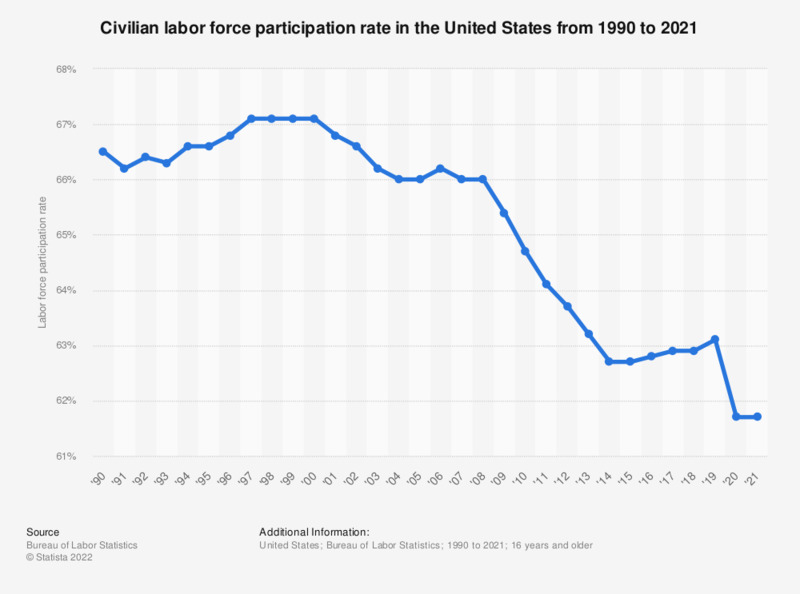 This graph shows the civilian labor force participation rate in the United States from 1990 to 2018. In 2018, about 62.9 percent of the American population, eligible to work, participated in the job market. Civilian labor force is a term used by the U.S. Bureau of Labor Statistics (BLS) to describe the subset of Americans who have jobs or are seeking a job, are at least 16 years old, are not serving in the military and are not institutionalized. In other words, all Americans who are eligible to work in the everyday U.S. economy.